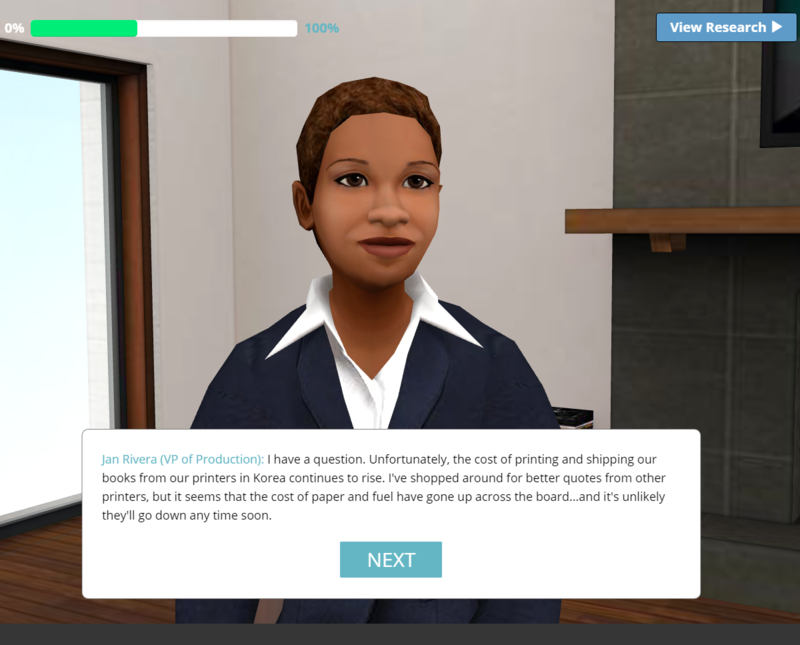 Assu me a role, analyze research, take a position, and justify your decision in a 3D virtual environment. Demonstrate knowledge and comprehension of concepts in a conversational, real-world context. Roleplay a workplace professional responding to queries from clients, partners, or employers. Engage higher-order thinking through act of decision-making based on interpretation of data. Practice ability to review and analyze data, charts, graphs, and other research documents. Receive performance-driven assessments and instant feedback. Demonstrate ability to analyze market research and apply reasoning. 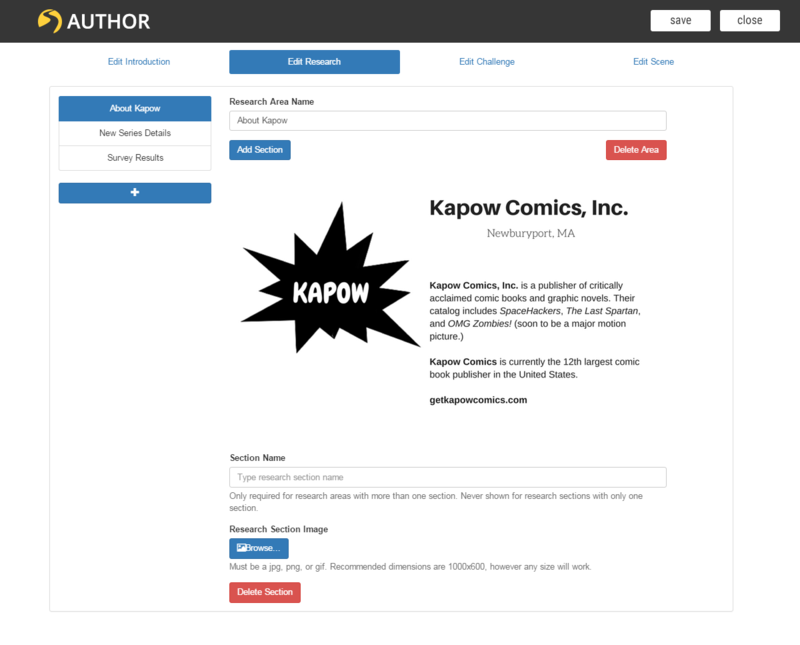 The learner assumes the role of a market researcher hired by a publisher to review survey data and make a recommendation that will guide future publishing decisions.